Hi! Do you just LOVE Halloween? I know a lot of kids like to dress up in costumes, have fun with their friends and family and most importantly. . .receiving all of the CANDY! But have you ever wanted to do more? Bellow are ten fun and spooky Halloween ideas that will make you SHRIEK with joy! 1. MAKE COSTUMES FOR YOUR DOLLS OR STUFFED ANIMALS You love dressing up in a costume, so your little friend must enjoy it too! You don't need a lot of stuff. You can use paper, blankets and anything around the house your parent is okay with. For a goddess, you can wrap a tissue around your Barbie doll and secure it with a hair tie or rubber band. For a super hero, you can make a mask out of paper and a cape using a small blanket (you can also use a tissue, cloth or maybe some fabric scraps from your mom after she sews). 2. MAKE A SILLY HALLOWEEN SONG THAT YOU CAN SHARE WITH FRIENDS AND FAMILY Making a song can be fun and can let you show how creative you are! Write the song about anything Halloween-- mummies, zombies, candy,etc. In it you can show why you love Halloween or it could just be about scary stuff. 3. MAKE A HALLOWEEN BOARD GAME You can make the game out of paper or cardboard (if you use cardboard you might want to glue paper on top). Draw little squares in a line on the base of your board game. They can be in a wavy, straight, whatever you want kind of line. Make sure that your squares are big enough so you can write in them. Make a start and a finish square. In the other squares you can write Halloween phrases that will either make you move ahead, move back or make you lose a turn. For example, "lost in graveyard--lose one turn" and "befriended a witch who gave you a ride on her broom-- move 3 spaces. It's your decision if you want to use cards that tell you how many spaces to move or to use dice. Have fun! 4. DRAW YOUR OWN MONSTER You've heard of zombies, witches and werewolves but have you ever heard of a zummy? It's a zombie and a mummy! With this activity you can either make your own new monster or combine two to make a super monster! 5. MONSTER CARDS Did you love activity number 4? Well then you'll love this one! In this activity you need an opponent (if you have a lot of players, you can make teams!) Each player or team needs a sheet of paper. Cut up your paper so you each have the same amount of pieces. If you have teams you need to make enough pieces for everyone. On your paper, draw a monster and on the bottom write it's power (mind reading, fire maker, etc.) On the count of three two people will reveal their cards. The winner (ex. water beats fire) gets to take the loser's card, which they can use later on in the game. The game will end when either no more cards or left or when time (you can pick how long) runs out. 6. MAKE YOUR STUFFED ANIMALS GO TRICK-OR-TREATING It's fun and simple. Dress your stuffed animals in their Halloween costumes and get them "candy bags." The candy bags can be made from a small container or maybe just a plastic bag. You can use little beads as the candy. You can set up little stations or "houses" for your little friends. You can have other stuffed animals give them candy. Remember to have fun with your little friends! 7. MAKE HALLOWEEN RAINBOW LOOM BRACELETS I know a lot of people love the rainbow loom so I made an activity for those people. All you have to do is grab some orange and black rubber bands to make your Halloween rainbow loom bracelets. You could make starburst, ladder, fishtail, and raindrop bracelets. I'm sure that you can make other bracelets, too! Have fun! 8. MAKE HALLOWEEN DECORATIONS FOR YOUR LOCKER You decorate the house for Halloween, so why not decorate your locker? There's a bunch of stuff you can make for your locker--like a paper jack-o-lantern, Halloween bubble letters, little ghosts and many more. 9. 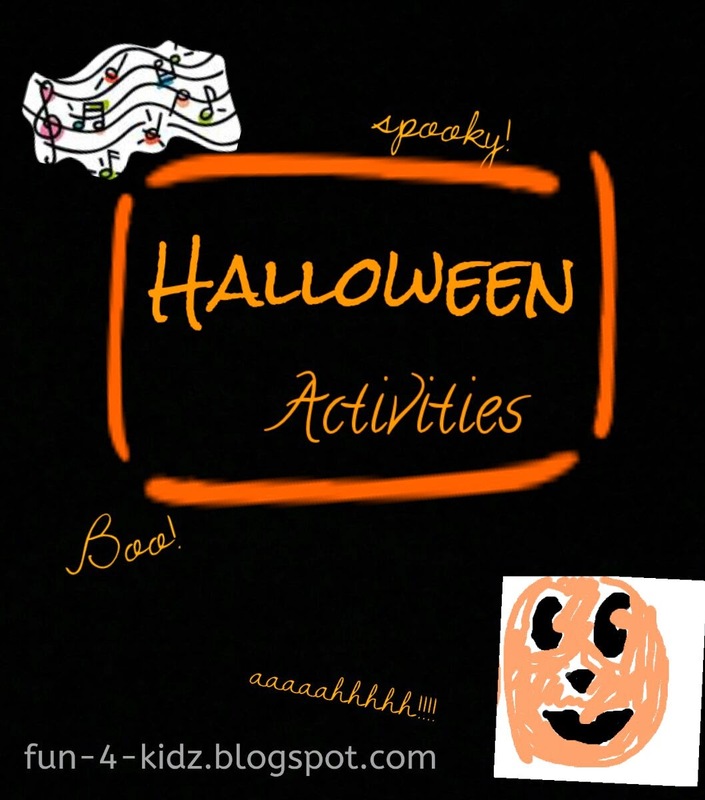 MAKE A SCARY HALLOWEEN DANCE This activity will be fun for those of you that like dancing. Make sure that your dance moves are fun and scary! If you want to, you can perform your dance while someone else (or you could try to) sings your song. 10. HAVE A "SPOOK-TACKLER" HALLOWEEN PARTY With all of these fun activities, you can definitely have a "SPOOK-TACKLER" party! You can also come up with some of your own ideas and do those at your party too. Have any more fun Halloween ideas? Leave a comment on this post to give others more things to do to celebrate! Christopher John Francis Boone is a smart individual, with just a bit of behavioral problems. But that doesn't stop him from learning the names and capitals of all the countries in the world, or taking an A mathematics class, or investigating a recent neighborhood dog's death. But as he buries himself deeper and deeper into what seems like a simple mystery, much larger discoveries are made. But, will he like what he finds? And how can a mystery on a killed dog change his life? 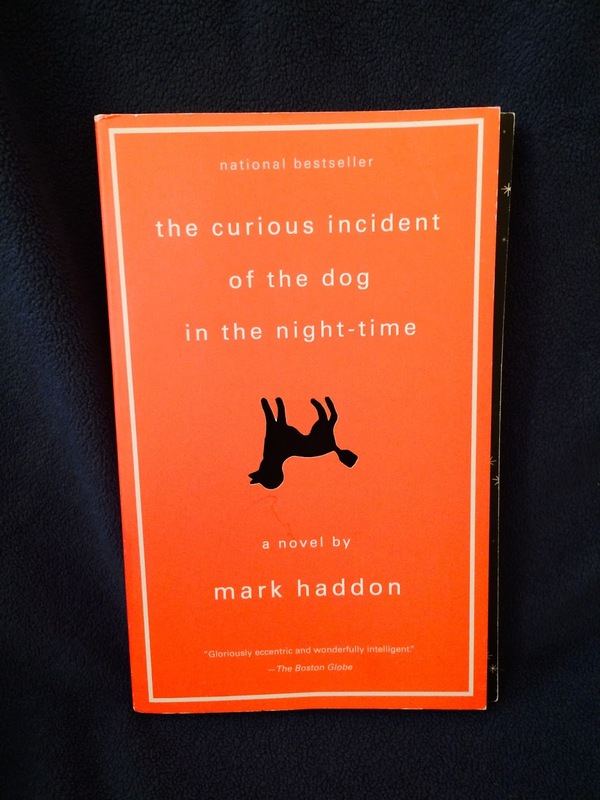 In this attention-grabbing novel, Mark Haddon creates a simple yet complex story. Told through a first-person point of view bursting with voice, this book must be read. Although it may not seem so at first, this book will get to your emotions, and it brings up the issues and feelings of everyday life through an intersting viewpoint. 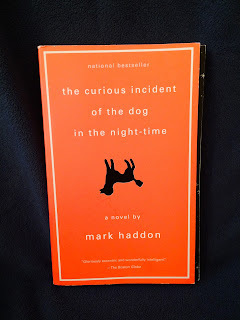 The Curious Incident of the Dog in the Nighttime is not just a novel nor a must to read, but perhaps something else all together. This book is a reminder of what we are capable of, and who we can be. You finally finished all of that back-to-school shopping. You've got pencils, notebooks, folders, binders, pencils, pens, and more. Finally, finally you have gotten back home, and you are ready to plop on the couch...your bed...even the floor. You think you're done. But, not so fast: you still have to do some things. One such thing being labeling your school supplies. If you don't change classes, then this process will be easier for you. First, grab all of your supplies and a pen. You do not want to use a pencil. If you use a pencil, your hard work could easily be erased or looked over. A dark pen will stick and stand out. After you have gathered your things, it's time to label! Start out with the simple things: notebooks, folders, binders, etc. Write your name, grade, room number, and teacher on the supplies. It's good to write on the inside of things (inside covers, not pages), just in case your teacher is specific about what she/he wants written on your supplies. Just be careful when you write: let it dry before closing it up to avoid a big smear of ink. Don't think you are done just yet: you still have the more complicated things left. These include pencils, pencil cases, tape, etc. These, of course, are optional, but can be helpful in the long run. For pencil cases, it might be best to paste a piece of paper on it and write on that. Tape, too: homemade paper labels are useful. In fact, these labels are a great way to label any difficult surface. However, if you do change classes, you'll have to be more careful when labeling your supplies. First things first: look at your school supply list. On this list, is it specific about what supplies are needed for each class? For example, does it say, "1 3-subject notebook for math, 3 composition notebooks for language arts, etc."? If not, you will not be able to label things as specifically as preferred. Organize your supplies based on what is needed for each subject. Put math in one section, science in another, social studies in yet another, an so on and so on. This will make it easier when labeling your things, and will also make clear any mistake in back-to-school shopping. Once this is done, you may start labeling. Write your name, class, grade, and other necessary information on the inside covers of things. Writing things on the inside is best because each teacher might have a set way they like information written on supplies. Be sure that you write in pen, as pencil can easily be erased, and let it sit for a little to prevent smearing. Then, now that you have done this, you can move on to general supplies. These include pencil cases, pencils, pencil sharpener, etc. You can choose what you want to label. Do you want to label everything? Or do you want to leave some unlabeled? The decision is up to you. Remember to put your supplies away in your backpack when you're done...you don't want all of this work--buying supplies and labeling them--to be wasted by carelessness! About a week ago I finished Landline by Rainbow Rowell. It was truly an amazing book that was very realistic. I loved the characters, and enjoyed the plot. It was really different from other books I usually read, which is part of the reason why I liked it. In many books I read, the boy and the girl are together in the end, you you assume they live happily ever after. However, that is not the case in the real world. 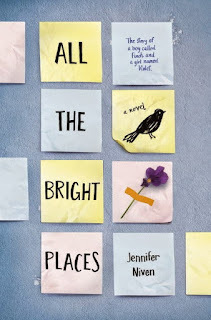 This book tells you about the fairytale part, the part where everything is happy, where the boy and the girl get together and you assume they will be together forever, and the realistic part, where after they are married, work, kids, and differences grow them apart. However this book also includes one other thing that puts it apart from other books; a magical phone. Yes, you read that right, a magical phone. 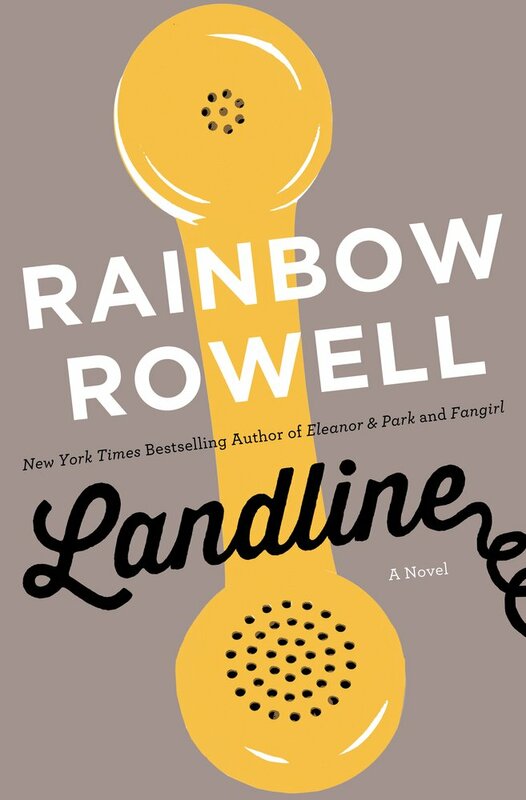 In this book, the main character, Georgie, struggles what to do when she finds a phone where she can talk to her husband, Neal, from the past, while he and their kids are visiting his family for Christmas without her. Is this an opportunity to fix her struggling marriage. Or, is it an opportunity to stop it before it even happens? Georgie is not sure. I loved how the characters interacted with each other. Everything was so realistic. I really understood what the characters were going through, and why they did certain things. 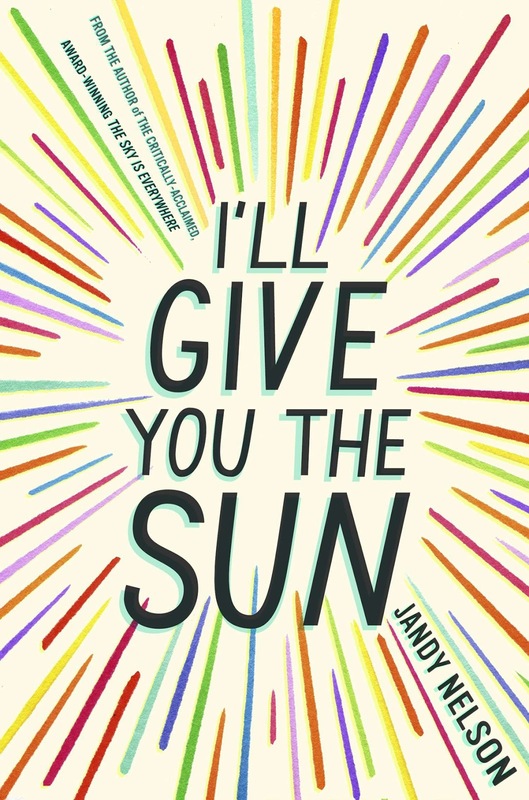 I loved how Rainbow Rowell really shows what the character are like through their actions. They all had their little quirks, and they all had their struggles. I loved every single character, and found myself rooting for every one of them. The ending of this book was fantastic. Ever read a book that was so good, but don't like the ending? That you find yourself thinking it was a bit too rushed. Well that didn't happen in this book I'm glad to say. It really summed up everything well, with also leaving a little bit of mystery. This book grabbed my attention and kept it. 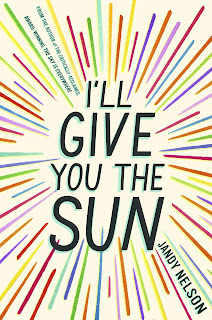 I think every one should read this book; it really is something quite special. Check out another "Phenomenal Reads With Emily"
Or check out a "Bookworm Review"
If you read yesterday's post (Prepare for School: The Importance of a Clean Room), you know that having (and keeping) a clean and organized room is important. But, cleaning your room is easier said then done. 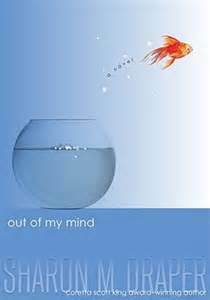 All it takes is one step into your cluttered room for all of your motivation to fly away. So, how do you manage to get started? How do you keep on going? How do you get started? Searching for answers to these questions? Then read below for all if those little tips that will keep you on track. Tip #1: Create a Plan. Of course, this will only work for some people, as not everyone works well with a plan, but I know this definitely works for me! This plan can be as detailed, simple, or complicated as you want. Is it a to-do list? An hour-by-hour agenda of the process? A simple list of what you want to get done? Whatever you chose to do, forming a plan might be one of the most logical and easiest ways to stay focused and productive. Tip #2: Set Goals for Yourself. Goals, small or big, are a great way to push yourself forward. They also can easily take the place of a plan, and are, most likely, something you are used to doing by now. In school, you are constantly making and working to achieve set goals. Teachers do this for a reason. By making goals, you are sure of your purpose, what you are going to do, when you want it done by...all of the little details you might forget other wise! Tip #3: Set Rewards for Completing a Step. Who doesn't like rewards? By creating rewards for yourself, you are motivated to get work done. For example, a reward could be texting your friend for 10 minutes or eating a special snack. Just be sure that your reward won't distract you! Tip #4: Listen to Music. By listening to music, you can keep yourself entertained, and cleaning your room will seem less boring. An the great thing is, there are so many ways you can listen to music: on the radio, your phone, iPod, Kindle Fire, iPad, CD player, etc. I am sure there is some way that you can play your music. Just be careful: play it too loud and you may disturb your family members. Tip #5: Hold a Competition. If all else fails, a little friendly competition won't hurt, and will definitely push you forward. Grab a friend, sibling, or even your mom or dad and start the cleaning! First clean room wins. I wish you luck in cleaning and organizing your room. Remember, it does not have to be done in a day. This might take time. All that matters is that you get a good product at the end. Why should I clean my room? Answer #1: You should clean your room because a neat room is important for the school year. For a lot of teens, tweens, and kids, homework is done in the bedroom. And, who wants to do homework in a messy bedroom? A neater room is easier to concentrate in. Additionally, a clean space is more welcoming (you will actually want to go in it), and less distracting (pretty difficult to focus on homework with clutter all around, isn't it? ), making homework time easier. Answer #2: A clean room is more welcoming (as mentioned briefly in Answer #1). With a cluttered room, you will not want to spend much time in it. If it is insanely messy, it will be difficult to move around. Your room should be a place where you can relax and rest at the end of the day, but with an unorganized room, it will be harder to settle down. The mess is distracting and stressful, and might even keep you more awake. Plus, if you are like me, a messy room will be a constant reminder of all the work you will have to do to clean it, adding more stress to whatever pile you have already created. Hanging out in your room will not be fun, as you might not be able to sit in it, move around easily, or do things you want to do. Answer #3: Having a tidy room is key to being organized. Having an untidy room however, is a one-way path to a struggle in finding things. You might currently find yourself thinking, "Where is it? ", and this might be happening a lot. If this is happening (or you think you are close to being in this state), you know you need to clean your room soon. Not being able to find things is really annoying and frustrating...and definitely something you don't want happening to you. On the other hand, if you have a clean room, you will easily be able to find things, important when you need to quickly grab something. Recently, I finished Made You Up by Francesca Zappia (see Emily's review: Emily's Phenomenal Reads: Made You Up). When Emily told me that I should read it because it was "the best book ever", I have to admit that, at first, I wasn't so sure. I know that she is into teen books with romance in it, and there is nothing wrong with that. The only thing is, romance-themed novels aren't my favorite. But, I was surprised: I like it. This book is now my favorite fictional book, matter of fact. Oh, and don't worry for those of you who do not love the love, for Made You Up is so much more! 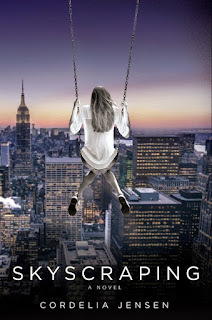 In this wonderfully written debut novel, Zappia uses the fictional story of Alexandra ("Alex") Ridgemont to do all sorts of things. She, of course, creates an exciting romance. She gives readers a mix of mystery. She teaches readers valuable lessons through a book they will come to love. Additionally, she gives readers characters they will fall in love with and characters who they will truly hate. She creates that special bond (as mentioned in my Bookworm Review for Skyscraping) between readers and characters that causes true empathy for them. What more is there to ask for? In other words, this book is not just for romance lovers. Nor is it just for those who want to learn something new; discover the truth behind the mystery; like a good read. It is for ALL of those people. 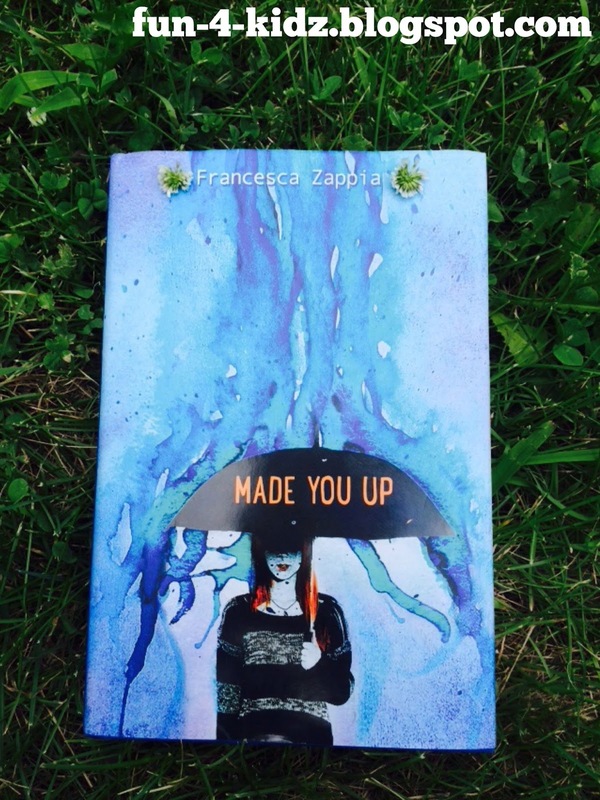 For her first novel, Francesca Zappia has done an astounding job. Seriously: both Emily and I find it amazing, which means...You MUST read it now!